Show your appreciation to a dedicated member of your team with the Prism Collection. 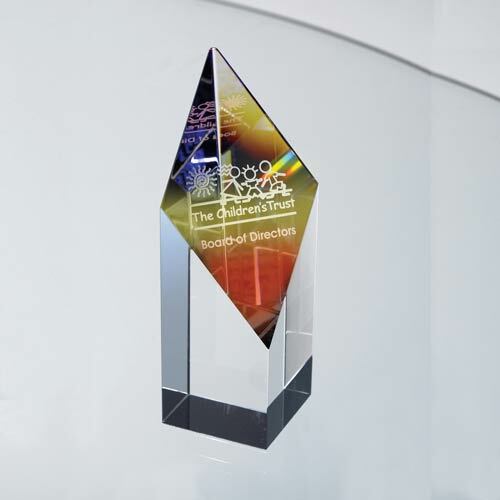 Crafted out of Optically Perfect glass, these polished diamond shaped awards are topped with colorful dichroic material. An exceptional way to acknowledge contest winners and those who commit themselves to superior performance. 4 " x 1 1/2 " x 1 1/2 "
Imprint Area: 1 3/4" x 1 1/2"